Enrique Chagoya describes his work as a conceptual fusion of cultural realities that he has experienced in his lifetime. He integrates elements from pre-Columbian mythology to Western religious iconography and American popular culture. 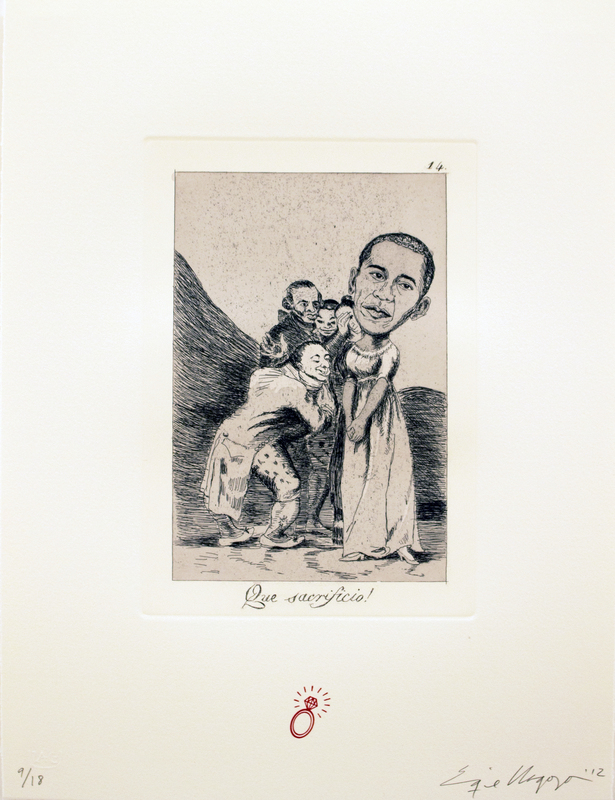 Many of his drawings and prints are influences by the satirical work of Francisco José de Goya y Lucientes, Honoré Daumier, and José Guadelupe Posada. In Tu que no puedes Goya’s message at the turn of the 18th century was that the Spanish people must carry all burdens, including taxation. 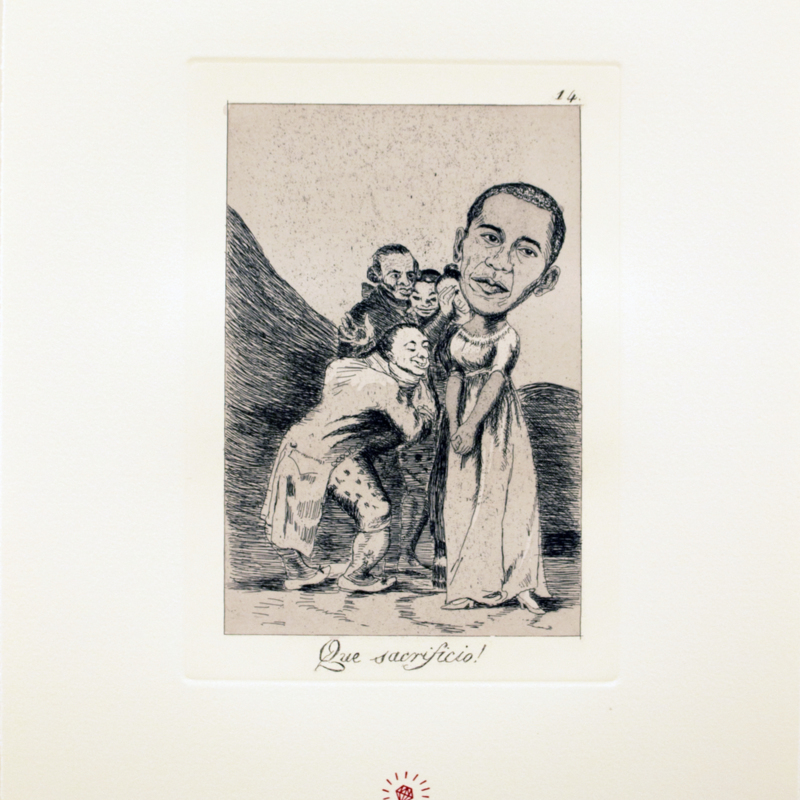 Chagoya’s print illustrates the burden that partisan politics places on the American people. Enrique Chagoya (Mexico City, Mexico, 1953-), “Que Sacrificio!,” Cunningham Memorial Library Digital Exhibits, accessed April 25, 2019, http://omeka.indstate.edu/document/3013.